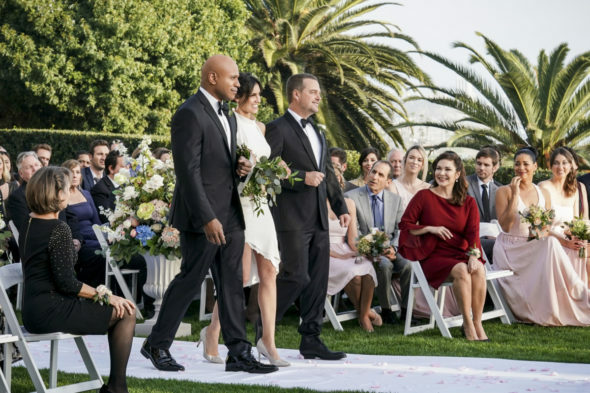 Photo: Monty Brinton/CBS ©2019 CBS Broadcasting, Inc. All Rights Reserved. Sunday, March 17, 2019 ratings — New episodes: 60 Minutes, God Friended Me, NCIS: Los Angeles, Madam Secretary, World of Dance, Good Girls, American Idol, Shark Tank, Supergirl, Charmed, The Simpsons, Family Guy, and Bob’s Burgers. Reruns: America’s Funniest Home Videos, Ellen’s Game of Games, The Simpsons, Family Guy, and Bob’s Burgers.